Imagine being actually thrown around when King Kong strikes down a helicopter, or your seat shifting left and right as a Fast & Furious car speeds down a highway. I’m not talking about the latest Universal theme park rides. 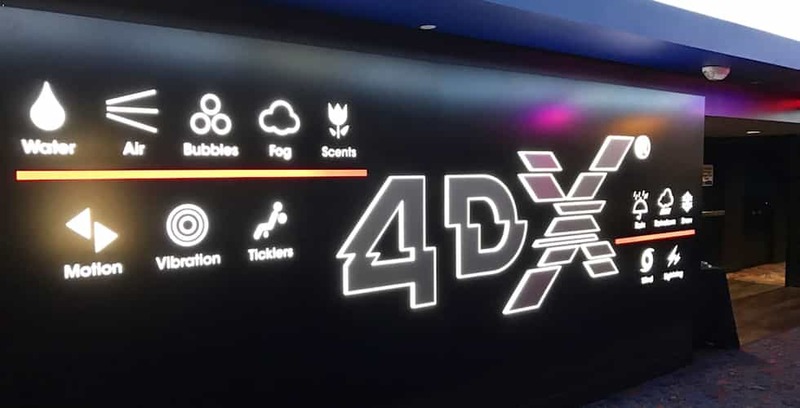 I’m talking about the new 4DX theater at the Regal Pointe Orlando movie theater. If you’ve seen the Shrek attraction at Universal Studios, then you know what the experience is like. 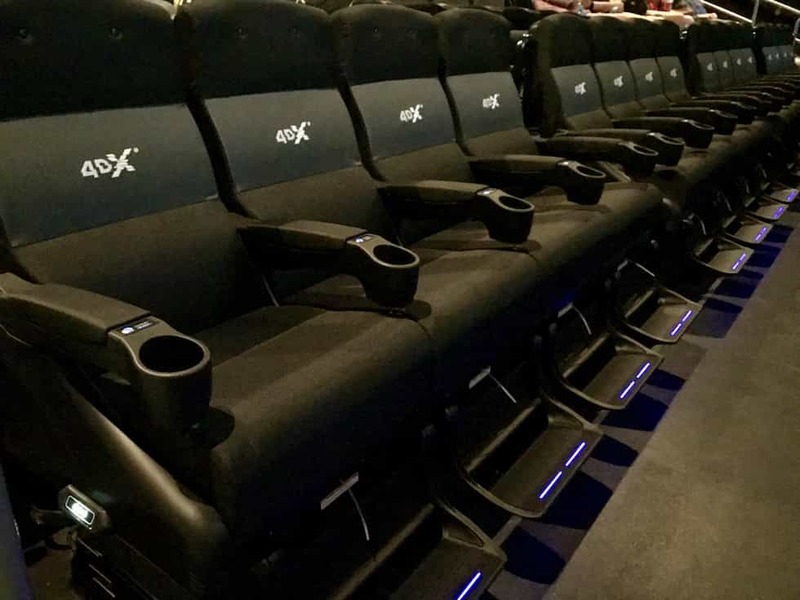 4DX theaters feature seats that move, tickle your legs, vibrate and poke you. Plus the theater has water spray, wind, bubbles and scents. The movie is in 3D as well. It’s a full “theme park” attraction ride. My family and I went to see “Kong: Skull Island”, the first movie to be featured at Pointe Orlando’s new 4DX theater. It’s a great choice. We loved the movie and feel it’s the perfect choice to show off the new theaters. The theater looks like any other at first glance. Here’s a look at the seats. Notice the foot pedestals with the blue lights. The seats sit up higher than normal seats and with your feet on the pedestal, you’re fully in the seats. Yes, there are cup holders. But be sure to keep a lid on your drink as the armrests move with you when you’re shaken around. Eat your popcorn down into the bag quickly just in case there’s a “jerky” scene early in your movie. We had a drink, popcorn and candy and had no troubles. The effects come from different areas of the theater. Fans are positioned all along the sides of the theater; there are nozzles in the back of the seats in front of you; fog machines are in front of the screen; and air blasts shoot past your head from your headrest (That was my favorite effect – you hear and feel the “bullets” shoot past your head). I didn’t notice any bubbles or scents during Kong, but it may be because they didn’t fit with the movie or I just didn’t notice them. So what did I think of the experience? I loved it, but not all of it. Many of the effects just seemed to be added to take advantage of the fact that they can add them. I didn’t see the need to be swayed back and forth as the camera moved around. I didn’t need to feel a bump every time a new opening title appeared on screen. I didn’t need to feel a blast of wind every time a character walked out into a windy area. But for the scenes where it was appropriate – like the gunshots, being shaken around when characters on screen were being thrown around, and feeling the splatter of liquids – it was awesome. Yes, my family all agreed we’d see another movie in 4DX, but it’d have to be the right movie. I also hope the programmers ease up on the effects in the future and save them for the most appropriate times. 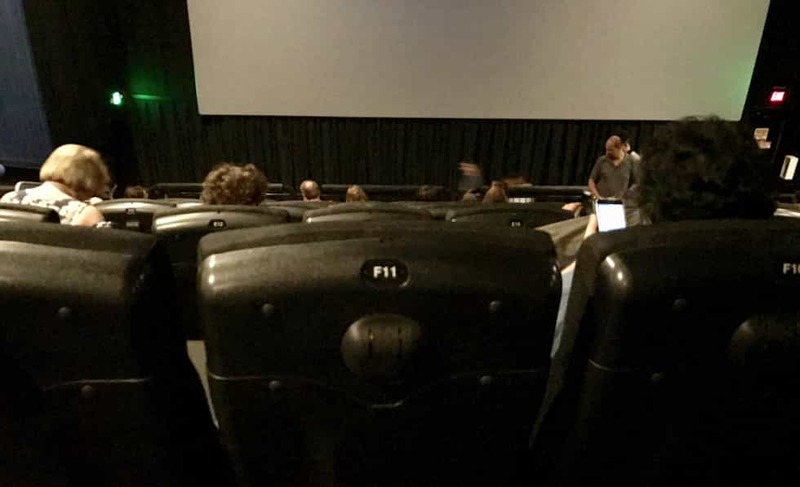 Also, the seats themselves aren’t very soft, so they could become uncomfortable during long movies. If you’re worried about motion sickness, my wife often gets motion sick on certain theme park simulators, but she had no issues with 4DX. As expected, the experience costs more than seeing the same movie in a different theater. Our tickets were about $21 each. You can save a couple of bucks by going to the earliest showing. The Regal Pointe Orlando Stadium 20 is located on International Drive in Orlando. Regal also has 4DX theaters in Los Angeles, New York and Seattle. 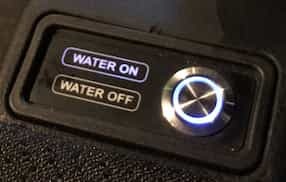 Cobb theaters has a similar experience called D-Box at theaters in Lakeland, Miami, Merritt Island and Clearwater Florida, as well as in Alabama, Ohio and Virginia. 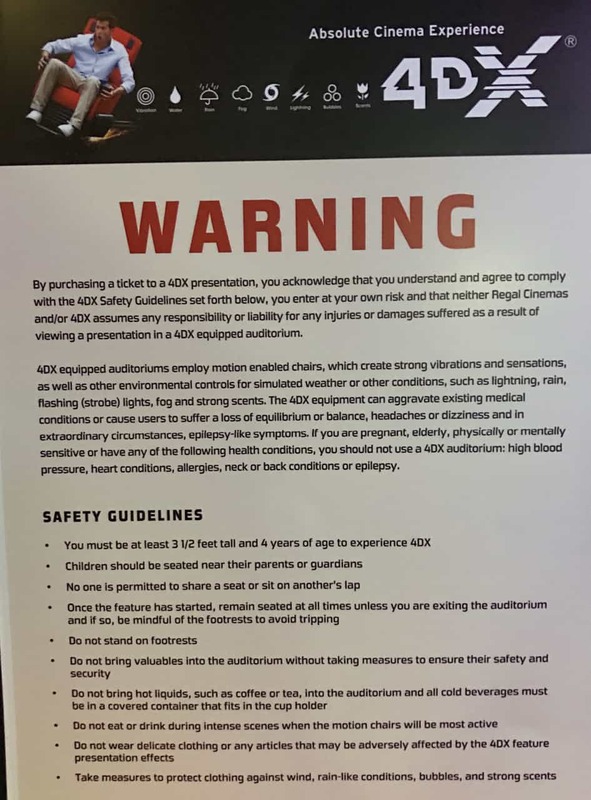 Here’s a look at the warning poster outside the theater take note of the age and height restrictions. 4D is the greatest new way to watch movies. it is going to be a revolution in the movies business. I will live long to enjoy.